The mission of TELOS–USA, a nonprofit organization, is to promote, assist, and support the spiritual awakening of humanity to Christ consciousness, uniting all of mankind in all dimensions. Our intention is to use the teachings of TELOS to prepare for personal and planetary ascension, to celebrate the Golden Age of Enlightenment, and the reality of Love, Peace, Harmony, and True Brotherhood throughout the world. 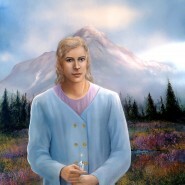 We support the teachings from Adama, High Priest of TELOS and the Ascended Masters channeled by Aurelia Louise Jones, through The Telos Book Series and The Seven Sacred Flames and companion booklets. We offer spiritual workshops, seminars, ascension ceremonies and study groups across the United States. As well, we fully cooperate with and support our Lemurian brothers and sisters around the world. We are dedicated to the creation of a spiritual retreat center for teaching and healing, using holisitic modalities, with a nurturing environment in nature. If you are interested in becoming a member of TELOS-USA, or would like to make a donation, please contact us. Immersed in the energy of the Lemurian Heart, in Oneness, we invite you to join us in the grand adventure of Ascension!